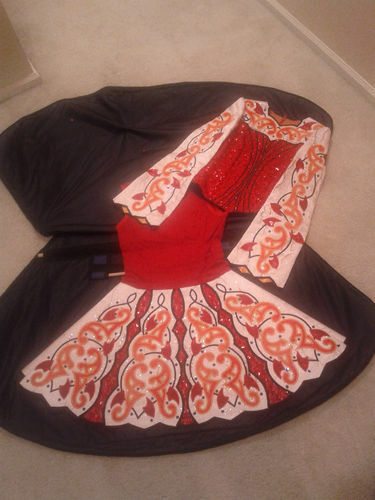 I have a beautiful competition dress that we purchased from an original owner. Unsure of Designer. 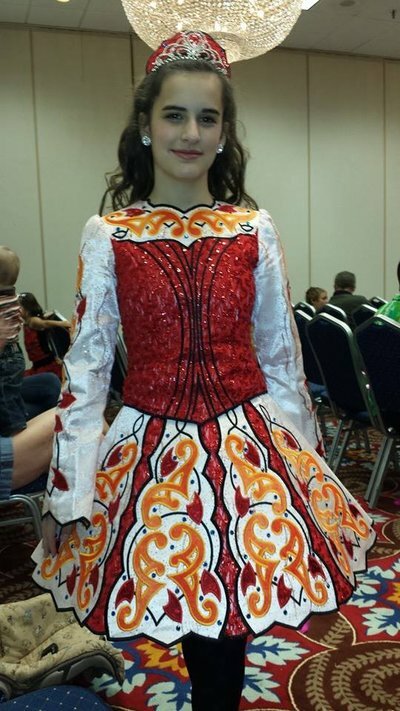 We were told she wore it when she started Prizewinner. 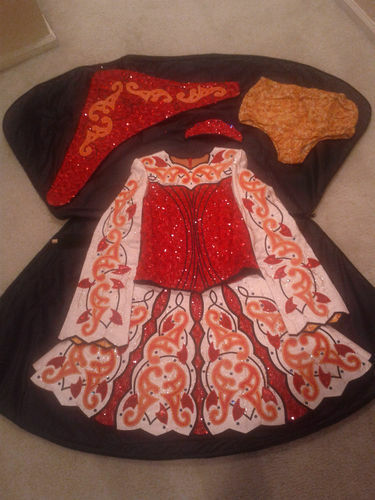 Kick pants and tiara backing are included. 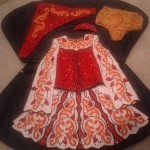 Dress fits a girls size 12, or a size 0 Juniors, and because it is a 2-piece its easily altered! 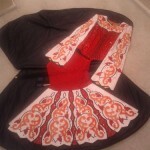 (2-piece is also awesome because you can take the top off between dances and cool off!) My daughter is 5′1″ and wears a girls size 14 slim skinny jeans and it fit her like a glove. I was told the original owner wore it around 5 times. We wore it for one event for about 10 minutes. It is 2 pieces, so it is easily altered. Asking Price: $US350 OBO. Shipping costs are included for my own country, overseas shipping is extra. Sale is final.